We are pleased to advise Journey Beyond has expanded its footprint in 2019, adding Sal Salis Ningaloo Reef and Darwin Harbour Cruises to its suite of experiential Australian tourism brands. The acquisitions of Sal Salis and Darwin Harbour Cruises are effective immediately. Bookings for both businesses can continue to be made through existing phone and online channels. Sal Salis and Darwin Harbour Cruises will bring further depth and diversity to our current portfolio, further positioning Journey Beyond as a leader in Australian marine, wildlife and outback experiences. These businesses join our other experiences that include Cruise Whitsundays, Rottnest Express and Australia’s iconic rail journeys – The Ghan, Indian Pacific, The Overland and the soon-to-be-launched Great Southern. 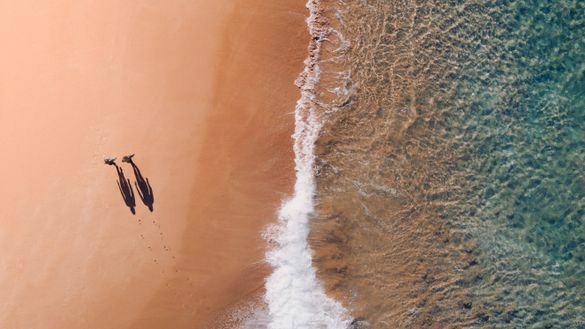 Nestled in the rugged Cape Range National Park about 70km from Exmouth in Western Australia, Sal Salis Ningaloo Reef is an eco-luxe safari camp offering spectacular views of the beach and the surrounding dunes. With 15 wilderness tents on site, guests are introduced to the unique flora and fauna both on land and in the waters of Ningaloo Reef. Sal Salis offers a range of guest activities inspired by its pristine natural surrounds, including sea kayaking, snorkelling, bird spotting, guided gorge walks and up-close experiences with the region’s most famous residents – the whale sharks and migrating humpback whales. To book: salsalis.com.au or (08) 9949 1776 within Australia. Since 1996, Darwin Harbour Cruises has operated daily sunset cruises in the Top End between February and December, complete with optional dining experiences. The business boasts two magnificent vessels equipped to host large and small events. Charles Darwin is a 25m tri-level catamaran available for exclusive charter for up to 270 guests, while Tumlaren is a beautifully restored 20m motorised schooner that accommodates up to 45 guests per departure. To book: darwinharbourcruises.com.au or (08) 8942 3131 within Australia.